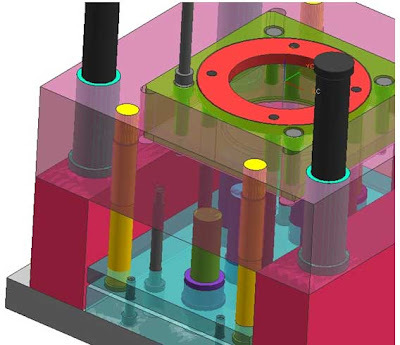 In ejector system, return pin is important, i was post about ejector system, include the function of each part, see it at this link, previous post is adding ejector pin and ejector guide bush in the mold, now next step is adding return pin, when we use mold standard or mold base blank, return pin always include in those mold base blank, if you have the catalog, return pin symbol is always RP, with dimension from X direction and Y direction, see picture below, yellow pin is return pin. 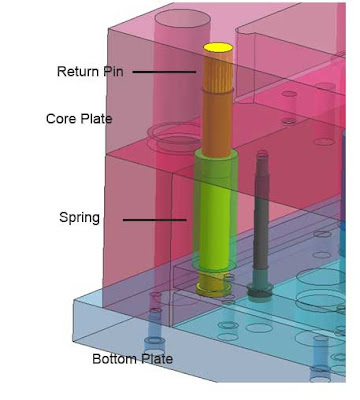 some mold designer prefer make hole of spring until half of core plate. which one do you use it depend on load calculation of spring. 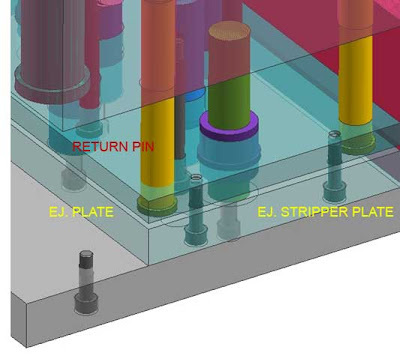 To prevent large deflection in center of cavity plate, we must add support pillar as much as we can, arrange it so the deflection of cavity mold when plastic injecting is minimum, deflection can make gap between cavity plate and core plate, so flashing maybe appear, maximum allowable deflection depend on material, but generally it about 20-30 micron. 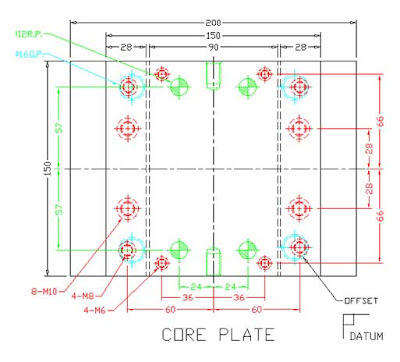 To move ejector system, we must add ejector rods, in little mold generally use only 1 pcs of ejector rods until 80 ton still save use only 1 pcs. but if your construction more than 100 ton or mold base size more than 400 mm x 400 mm use more than one pcs of ejector rods. 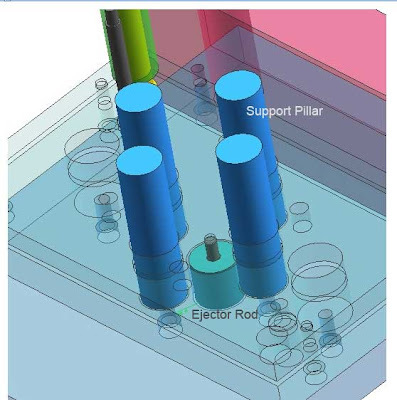 picture below shown 1 pcs construction of ejector rods. Just a small comment; Here in Sweden we do (mostly) not like springs to return the ejector plate to it's original position, we use a mechanical coupling to the ejector cylinder so we can make more than one throw if needed. You have described it so well. Thanks for the info. Much needed topic that was.